I’ve long stopped counting how many times I’ve been to Manhattan. The goal isn’t to see something new anymore, rather, go back and re-visit favourite places. But, as a recent last minute trip to the States affords me a weekend in the big apple during the peak summer season, it’s forced me to look beyond my usual hotel go-to’s which are full up. Jersey City, connected to Manhattan by the Holland tunnel, used to be the “low rent” zone; the place where 20-somethings earning $18k a year could share warehouses turned into airy lofts. There wasn’t much of a neighbourhood, but it didn’t matter; work and play happened in the city, and JC was just a place to lay your head. Twenty years later, that’s all changed. Jersey City’s harbour front, with its pedestrianised pier and running path, is now also lined with investment banks occupying skyscrapers;. a miniature Wall Street just 20 minutes away from the real thing. And with the influx of the banking sector, so too, have come luxury hotels to accommodate the expense accounts. Yuppies and fantastic eateries followed. The best situated of these new hotels is arguably the Hyatt Regency Jersey City on Hudson. It’s attached to the harbour, making for wrap-around views from the bar, and from our room, the Empire State Building serves as a nightlight in the distance. The beds are made for a great night’s sleep, topped with feather quilts, linens so soft they feel like they’ve been tumble dried a thousand times and an iHome programmed with “bedtime beats”. The shower’s water pressure is so strong, it’s like being in a human car wash, and the gym is a far cry from the cupboard-sized ones typical of Manhattan hotels. These treadmills face the waterfront. Located at the pier, this is a terrific place for a breather from the big city. The PATH station is just opposite, and the decked quay with its benches are perfect for sipping a morning coffee, or an evening stroll away from the masses and the streets shadowed by tall buildings. I love New York as much as any city slicker, but the chance to take a break by the water and gaze out at the skyline, surrounded by space, is the best of both worlds. We’re avoiding the crowded museums and cultural attractions in favour of silly fun. After a day trouncing from the Highline, New York’s trendy elevated park, to the East Village in search of gourmet cupcakes, and a few markets in Soho, we head to Times Square for an evening at Caroline’s. 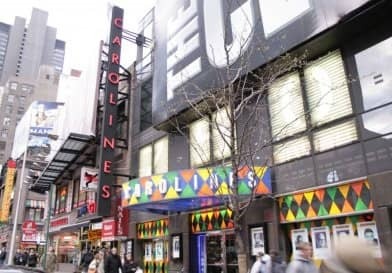 Comedy clubs have long been a staple of New York nightlife, and the godfather, as well as the city’s first, is Caroline’s. It’s still the most popular, and reservations are a good idea. It’s pot luck, unless you have the flexibility to plan ahead for a particular comedian, but we’ve seen a handful of comics, some funnier than others. We opt for the early show, which gets us back to the Hyatt by 10pm to rest our weary feet and enjoy milk and cookies gazing at the Empire State Building. We avoid the filling buffet breakfast knowing we’re soon headed to a cake factory to learn how to decorate with fondant. 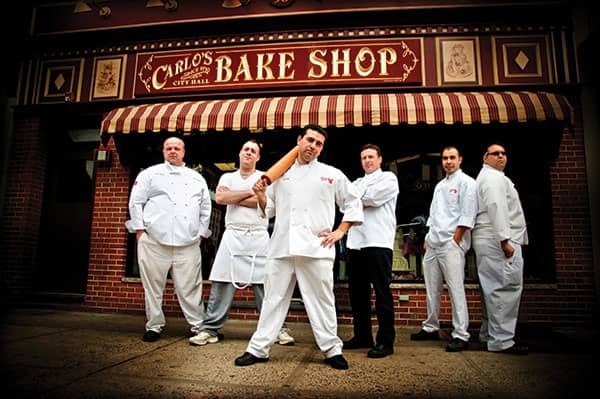 Cake Boss, the televised reality programme depicting life in an Italian-American owned cake bakery, is just a few minutes away in Hoboken(also making JC the perfect spot for our stay). We join a group of less than 10 for a quick tour of the bakery before sitting down in front of two-tiered, frosted cakes big enough to feed a family of four seconds, and piping bags filled with colourful fondant. In the spirit of the season, we’re shown how to make a beach-themed tableau, modelling the fondant into beach balls, sun umbrellas and octopus’. After two hours we admire our works of art and are sent home with enough cake to last weeks. 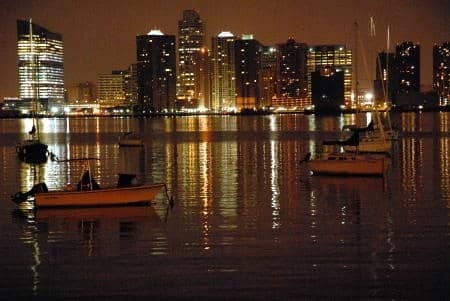 Jersey City and neighbouring Hoboken are like the chilled out distant cousins to Manhattan, where a few extra meals at its pizzerias and authentic diners wouldn’t go amiss.